Starting on September 27, 2011 at 7:00 PM we will kicking off the Atlanta REIA Internet Marketing Online Boot Camp, being taught by Dustin Griffin, as a series of live, online webcast workshops that are designed to teach you how to establish a strong Internet presence, get your websites, pages and profiles to the top of the major search engines quickly and to generate all the leads you can handle using the power of the Internet. 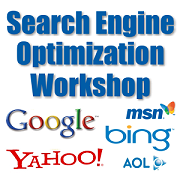 These workshops cover search engine optimization, search engine marketing, websites, blogging, social networking, social bookmarking, online videos, RSS Feeds and much, much more. Reserve your seat now or read more! The Search Engine Optimization (SEO) Workshop will be held April 9th and 10th at 1960 Skylar Hill Dr, Suite D, in Buford, GA and Online via GoToWebinar. We will also be recording the event* in case you miss it or want to review the workshop again. The SEO Workshop is the first two days of the Internet Marketing Boot Camp which will take place throughout the summer and teach you how to dominate the search engines and generate all the free leads you can handle. At the SEO Workshop, Dustin Griffin will introduce you to Search Engine Optimization and Search Engine Marketing, teach you how to optimize your website and setup all of the online accounts necessary to begin optimizing your sites. The SEO Workshop can be attended individually for $99 for Gold Members (price good for both Gold Members), $159 for Silver Members and $199 for guests. However, for maximum results we recommend you attend the SEO Workshop can also be taken as part of the Internet Marketing Boot Camp for only $695 for Gold, $1195 for Silver and $1595 for guests. We have scheduled our first Atlanta REIA Internet Marketing 101 Workshop for April 2nd, 2011 from 10:00 AM to 4:00 PM at 1960 Skylar Hill Dr, Suite D in Buford, GA. This workshop, taught by Dustin Griffin, is designed to give attendees a general overview of how to use search engine optimization, search engine marketing, websites, blogging, social networking, social bookmarking, online videos, RSS Feeds and much more to market their business and generate leads online. Atlanta REIA Gold Members can attend for FREE*! Cost? *FREE for Atlanta REIA Gold Members, $49 for Silver Members & $99 for guests. Register Now! *PLEASE NOTE: Because seating is limited at this workshop, Atlanta REIA Gold Members must pay a $20 RSVP fee that is fully refundable if they attend this workshop and non-refundable if they do not attend. 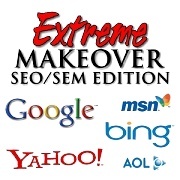 Monday at 7PM ET is Week 4 of the 90 Day Extreme Internet Marketing Makeover Webinar Workshop, the SEO/SEM Edition. Dustin Griffin will be introducing you to blogging, helping you setup and customize a WordPress blog and link it to your new blog to various SEO profile pages for maximum search engine optimization power. 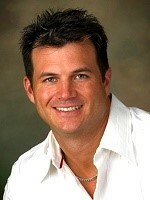 On Tuesday evening at 7PM, we will be having our first Atlanta REIA “What’s Hot in Real Estate Investing Webcast”. This Tuesday and on the 3rd Tuesday of each month at 7PM ET, we will be bringing in local and national real estate industry experts to tell us what’s hot in real estate investing, what’s not and how to make money investing in real estate right now! Whether you are a new or seasoned investor, this webcast training series is designed to expose you to a wide variety of traditional and cutting edge real estate investing techniques that you can use to make substantial amounts of money in today’s real estate market. 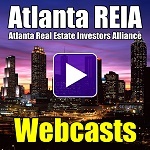 Dustin Griffin will be kicking this first webcast talking about how Atlanta REIA is what’s hot in real estate investing in Atlanta and how you can be involved and how you can make up to $150 cash flow for each new member you refer to us. Register for the webcast now! Atlanta REIA North has a new meeting night… the 3rd Wednesday of each month at 6:00 PM at 1960 Skylar Hill Dr, Suite D in Buford, GA just a few miles from the Mall of Georgia. This Wednesday we’re going to talk about using offline guerrilla marketing techniques to generate all the buyer and seller leads we can handle in addition to our online marketing techniques. We will also be doing a marketing segment, so bring in your haves, wants, needs, flyers and any deals you wish to market and share with our group. Also, immediately after the Atlanta REIA North Meeting, we will break and reconvene at the Mall of Georgia Taco Mac for Late Nite Networking. We hope you will come out and eat, drink, network and have fun with us! This Thursday at 7PM ET on our Atlanta REIA Business Opportunities Webcast, Credit Repair Expert Rick Harper of Summit Credit Group will tell you how to repair your credit and your life and that of your family members, customers, tenants and buyers. 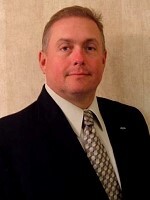 Don’t miss your chance get all your questions about credit repair answered. As you know, lenders have changed their lending criteria dramatically and credit bureaus have changed their rules for how they score you and your customers, tenants and buyers. Have you and your customers been able to adapt to these ever changing rules and requirements? Perhaps you’ve been scratching your head wondering if a credit repair company would actually be reliable enough to help. Now is your chance to find out. Register for the Webcast on Credit Repair Now! Are you getting your fair share of leads from the Internet? Do you get at least 1 lead per day from your website? How about 2, 5, 10 or more? 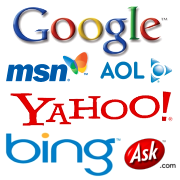 If you were to go to Google, Yahoo or Bing right now and type in your company name, could you easily find your site on the first page? Or what if you typed in a few common search phrases about your company, what you do, etc… can you still find your site on the first page of the search engine results? If not, you’re not alone. It’s been said that the top 5 percent of all real estate investors get 90% of all the leads generated online from search engine searches. This means that the other 95% of investors fight for the remaining 10% of the online leads. So why are the top 5% of these investors getting the vast share of the online leads? What do they know that you don’t? Learn their secrets TONIGHT on Atlanta REIA’s Webcast at 7PM ET on Guerrilla Internet Marketing and Search Engine Optimization (SEO) so you too can share their success faster than you ever thought possible for very little or no money… emphasis on no money! Learn How You Can Dominate the Major Search Engines and Your Local Competition Online in the Next 90 Days! Starting on Sept 20th, 2010, Dustin Griffin, along with many other real estate investors and entrepreneurs in Atlanta, Orlando and scattered throughout the USA will be embarking on a 90 Day Extreme Search Engine Optimization (SEO) and Search Engine Marketing (SEM) Makeover in efforts to get their web sites, pages and profiles dominating the first page of major search engines such as Google, Yahoo, Bing and other quicker than they ever thought possible! We had a great turnout at last night’s Atlanta REIA South Meeting in Stockbridge, GA. Special guests, Mark Galey, President of the Fuller Center of Atlanta, and Shane Persaud, President of the Fuller Center of Henry County, both residents of McDonough attended last night’s meeting. Mark talked about the Fuller Center of Atlanta’s relationship with Atlanta REIA and our recent work on Project Lakewood and how members can get involved and help us rebuild, renovate and repair homes for some of Atlanta’s most needy citizens. Shane talked about the brand new Fuller Center of Henry County that he just started and some of their recent accomplishments on Project McDonough. Atlanta REIA and Atlanta REIA North & South look forward to working with the Fuller Center on both Project Lakewood and Project McDonough. We hope you will get involved and lend a hand too! 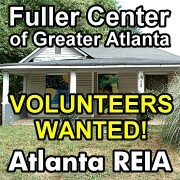 For more info, see the Fuller Center of Atlanta Website or the Fuller Center of Henry County Website.